PRODUCT DESCRIPTION: This product qualifies as a “minimum-risk” material under FIFRA and is therefore exempt from Federal EPA registration. 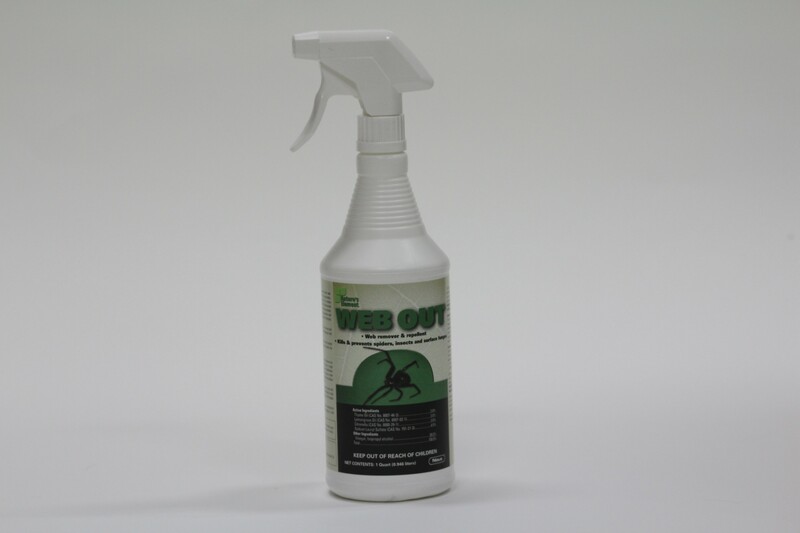 Web Out can be used as a contact pesticide to kill ants, crickets, mosquitoes, cockroaches, perimeter pest insects and other general pests. RATE OF APPLICATION: Web Out is ready to spray and does not need any dilution or mixing. A quart will cover 200-300 sq/ft. Web out will last 30-90 days on outside surfaces; up to 120 days on indoor surfaces. TARGET PESTS: Ants, crickets, cockroaches, fungi, mold, mosquitoes and other perimeter pests.